Question: I have a friend's birthday coming up and would love to treat her to a spa break, however they are crazy expensive! Do you have any advice on how to do this on a budget? - Kelsey, Charlotte, NC. Answer: A spa day itself is expensive, let alone a spa break! However there are many ways you can cut costs, so don't worry! The first thing to do is avoid planning a weekend spa break, as spa breaks are always more expensive between Friday and Sunday. Weekly spa breaks are the most affordable. The next thing to do is discount hunt. 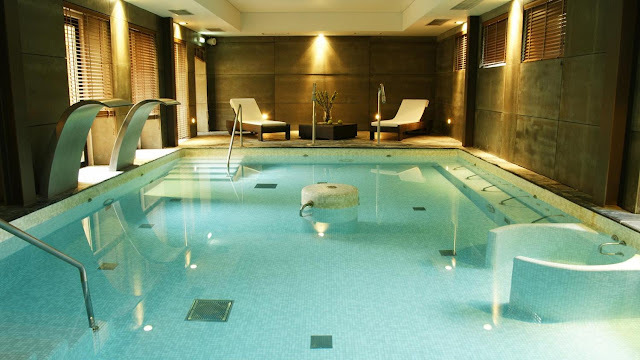 Sign up to sites like Groupon and Wowcher to receive regular emails about the latest spa break offers and discounts. You should also proactively look for discounts online, as sites like lastminute.com (UK) and spaweek.com (US) offer big discounts on both spa days and spa breaks nationwide. A great tip is to call spas directly; they are normally prepared to negotiate their rates, as booking customers directly avoids paying commission to booking agents or discount sites. My final suggestion is a little on the alternative side, however equally as thoughtful and way more affordable. Treat your friend to a DIY Spa Kit! You could put together a little hamper containing some amazing pampering products (face masks, bath oils, exfoliators etc) and a few of her favourite treats (herbal tea and luxury chocolate for example). This way, your friend can create her own spa at home and still have products left over for another day!